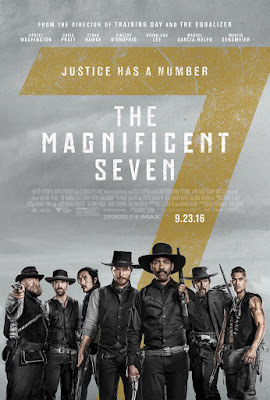 As the town Rose Krick is put under the siege of industrialist Bartholomew Bogue, the residents enlist the help of seven outlaws, headed by bounty hunter Sam Chisolm, to protect them while they prepare for the anticipated violent confrontation. However, upon meeting the town's residents, the Seven find themselves fighting for much more than money. Luke Grimes as Teddy Q.